To get the kids away from their screens and into the outdoors, a good starting point is Brackenridge Park. This sprawling park has way more than just green space — it encompasses a stretch of the San Antonio River and includes the Japanese Tea Garden, the Sunken Garden Theater, and the San Antonio Zoo (more on that later), as well as ball fields and pavilions. Older kids can run off some energy on nearby trails while parents eat out at the Jingu House, or you can grab food from the nearby H-E-B Central Market for a family picnic. Before you leave, don’t miss a ride on the San Antonio Zoo Eagle, a miniature train that loops around pretty much the entire park. From its starting point right across from the zoo, it makes stops at a few different Brackenridge attractions, including the Witte Museum (its outdoor terrace pictured above). 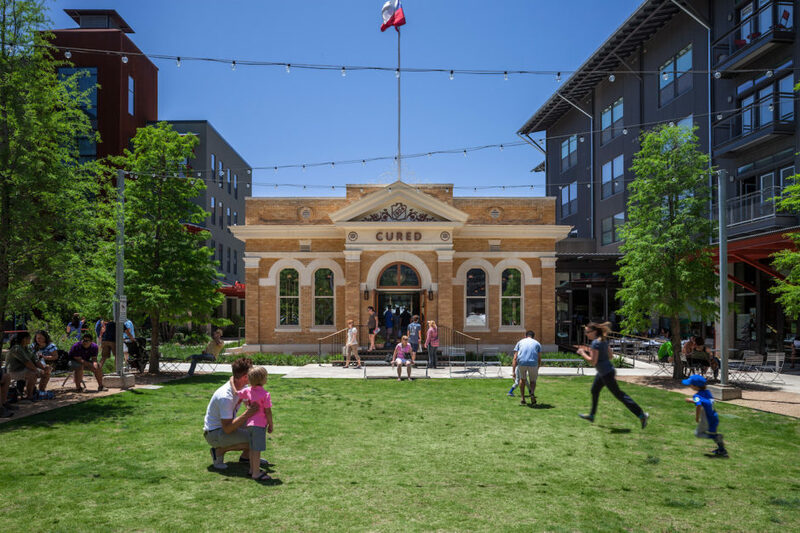 The Witte is a San Antonio classic and has thousands of Texas artifacts and plenty of exhibitions for the kids to learn about history, art, and culture at a state and global level. 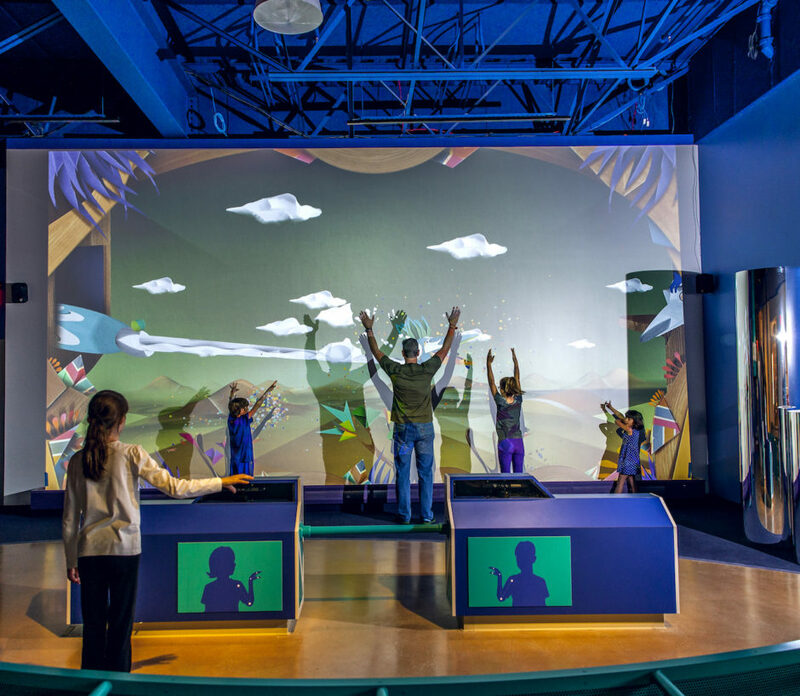 Since opening in 2015, The DoSeum has quickly become the go-to children’s museum in San Antonio — it’s full of hands-on activities for kids of all ages, from toddlers to fifth graders — though adults will admittedly learn a thing or two as well. The museum’s displays run the gamut, from celebrating creative arts to tinkering with science and technology. Specific exhibits include the Big Outdoors, the Sensations Studio (where kids can experiment with light and sound), an innovation station, and the Spy Academy. A day at The DoSeum costs $12 (free admission for anyone under one), but there are also camps for kids, as well as memberships that get the family in at half price and are also honored at participating children’s museums around the country. Families looking for an adrenaline fix while still spending time together should hit up Six Flags Fiesta Texas. Not only does the park have some of the best roller coasters in Texas, including the Superman Krypton Virtual Reality Coaster, Iron Rattler, and Batman: The Ride (the world’s first 4D free-fly coaster, which just might be as terrifying as it sounds), but it has rides and attractions for the whole family, regardless of age, energy levels, and attention spans. It also hosts various events, including concerts, fireworks, and the annual Fright Fest (Halloween is a great time to check out the park), and has a water park. Day passes run around $70.00, but discounts are available online, on soda cans, and at local H-E-B grocery stores. If your kids are still a little young for the big-name rides at Six Flags, we’ve got an old-school alternative: Kiddie Park, located on Broadway just minutes from the zoo, The DoSeum, and other spots on this list. 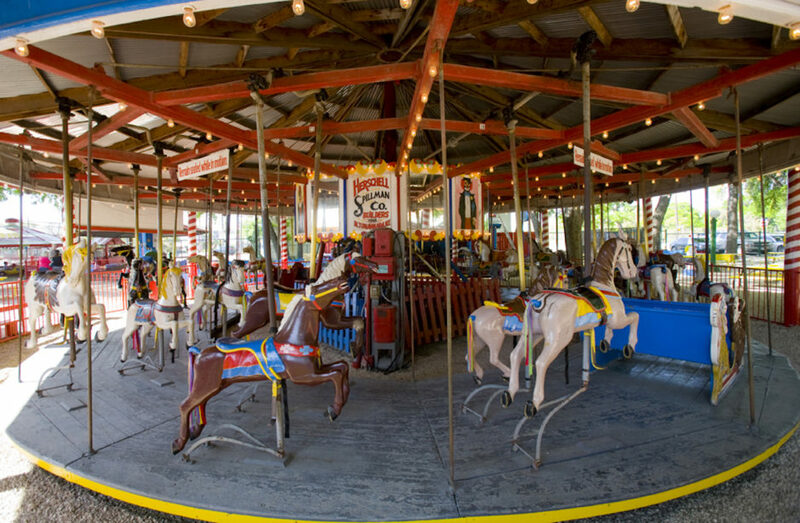 Billed as the oldest of its kind in the country, this 1920s-era amusement park is exactly what you’re picturing — rides include a classic hand-carved carousel, flying saucers, and a Ferris Wheel. Now with two locations, it also includes a recently updated arcade and carnival games, as well as pony rides and face painting, making this place perfect for young children and any adults looking for a bit of nostalgia, too. This relatively inexpensive park is even cheaper on Bargain Wednesdays, when ride tickets are $1.75 (and unlimited ride bands sell for $11.75). Tell the kids this is what life used to be like, and see if they believe you. Perhaps the city’s biggest attraction, the River Walk has a wide variety of places to go to, things to see, and food to eat, though it might be most enjoyable to just wander the trails — it’s the largest urban ecosystem restoration in the country. 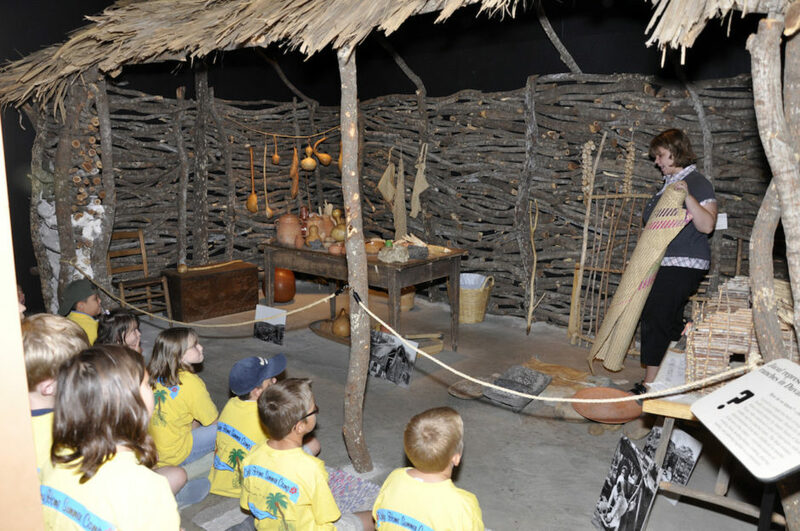 Quick strolls from the river’s banks take you to national landmarks like the Alamo and the other Spanish Missions (recently designated a UNESCO World Heritage Site) — obvious places to teach your kids a thing or two about Texas history. Looking for a low-key afternoon? Rent a bicycle and explore the 15 miles of cypress-lined trails in this corridor of relative quiet right in the city. Head north from downtown to explore the Museum Reach section of the River Walk, or south to follow the Mission Reach. Events take place on the River Walk throughout the year, from the 6,000 luminarias that line the banks for Christmas, to rubber duck races, to the annual Mardi Gras-esque party that is Fiesta. And when the San Antonio Spurs win the NBA Championship (it’s happened five times over the last 17 years), the River Walk plays host to a wild riverboat parade featuring the team. Wildlife meets theme park at SeaWorld San Antonio, and no matter your age, it’s always a good day when you can get up close and personal with a dolphin. SeaWorld really shines in its wildlife program, with penguins, beluga whales, dolphins, and flamingoes, but there are a handful of crazy roller coasters (including one of two “hypercoasters” SeaWorld has throughout the US) and water rides, too, for those hot summer days. 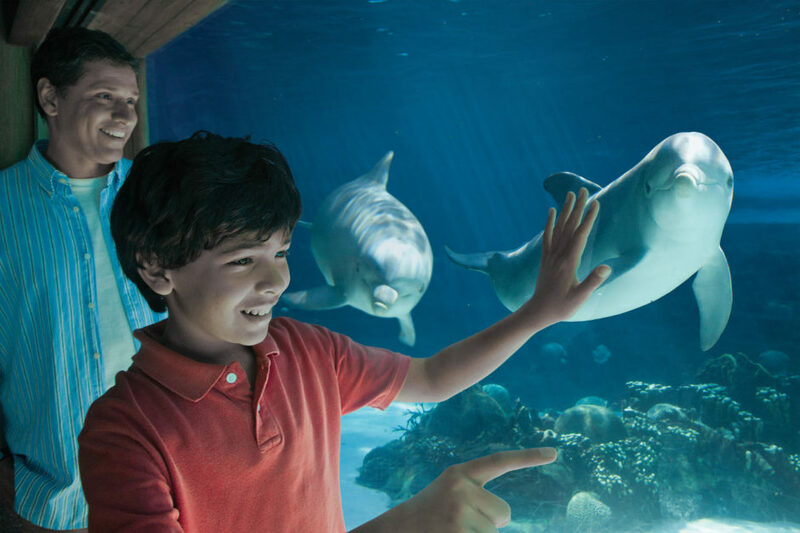 When it comes to the animals, every show and exhibit is worth the time, but be sure to check out Discovery Point — an exhibit that brings you face-to-face with dolphins, belugas, sharks, exotic fish, and sea lions, both above ground and underwater. You can also reserve a spot to swim with the dolphins — the only place to do so in Texas. Located right downtown, Hemisfair Park was built for the 1968 World’s Fair and has become a central landmark in San Antonio. The park surrounds the Tower of the Americas, the most distinguishing feature in the San Antonio skyline, and has some great kid-friendly options to explore. The recently unveiled Yanaguana Garden is a blend of creativity and activity — basically a playground mixed with art displays. There’s also a games plaza, a sand area, and a splash pad. Hemisfair Park regularly hosts events for kids and families, including story time, family-friendly First Fridays, gardening lessons, and sometimes even all-out festivals. The Pearl is a renovated brewery complex that was originally founded in 1881. Today, it’s the center of an artsy live-shop-eat district — a collection of unique restaurants, stores, architecture, and activities. Families can stroll, window-shop, rent a bicycle from a B-Cycle Station and ride along the river, or show up on the weekend for a lively farmers market that only allows vendors based within 150 miles of the area. The rest of the week, check out eclectic stores like Adelante Boutique and The Twig Book Shop. The restaurants at the Pearl are ideal for health-conscious and adventurous eaters looking to try something new. Try Cured (specializing in charcuterie, though the menu is incredibly varied) and Green, San Antonio’s only 100% vegan restaurant. This summer, the Pearl is hosting the Summer Dance Hall, a free concert series showcasing swing, conjunto, Dixieland, and all types of music to get you dancing. It’s worth spending a few hours (at least!) exploring Texas’ cultural history at the Institute. The displays aim to educate and entertain anyone of any age who’s looking to understand more about this state and the countries it connects — exhibits include everything from Texas’ earliest settlers and how Tejanos lived in the 1930s to the importance of the chuck wagon in Cowboy lore. Admission for adults is $10, kids 6-17 are $8, and 5 and under get in for free. The Institute is also host to the Texas Folklife Festival, a several-day event that brings culture and activities together. Taking place in mid-June every year, it celebrates the wide range of the cultural history of Texas, including Mexican, German, Latino, African, and Native American traditions. Tucked away in Brackenridge Park, the San Antonio Zoo is a great place for kids who love animals, learning, and learning about animals. The zoo is open year round, and offers admission cheaper than the movies ($14.25 for adults, $11.25 for children 3-11), as well as membership deals. In addition to the zoo’s various animals — including the regulars, like giraffes, bears, and tigers — the park also features different landscapes, such as the African Serengeti and watering hole, the Amazon, and a forest full of gibbons. Other attractions include a butterfly exhibit and Lory Landing, which houses a collection of lorikeets. This is one stop — one city, really — where the adults certainly won’t be bored, either.